AVALON is stoked to host Danish extraordinaire Martin Jensen on April 27th. Martin Jensen’s unconventional rise from lighting designer to world renowned DJ has garnered him listeners all around the world. Launching into the electronic dance community with club anthems such as “Solo Dance” and “Middle of the Night” the Danish powerhouse established himself with a dance driven pop sound. 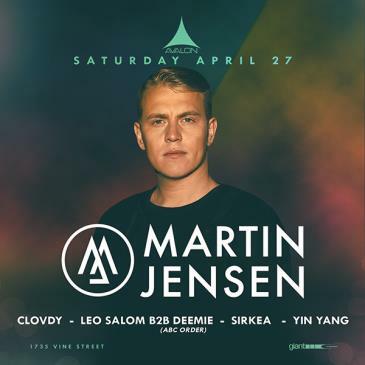 Spotlighted as one of DJ Mag’s top 100 acts in 2016 and garnering over 122 million stream across various platforms, Martin Jensen continues to demonstrate himself as one of Denmark’s most prestigious musical exports. His first release of 2019, “Nobody” features X Factor prodigy James Arthur, making for a moving track that demonstrates Jensen’s ability to create meaningful pop compositions. 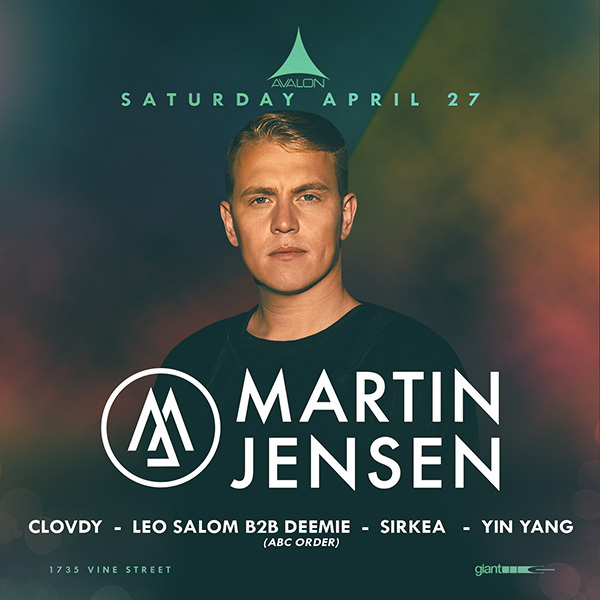 Bringing an energetic set to AVALON, Martin Jensen will be joined by local supporting acts Clovdy, Leo Salom, Deemie, Sirkea, and Yin Yang. Be sure to grab your tickets below.